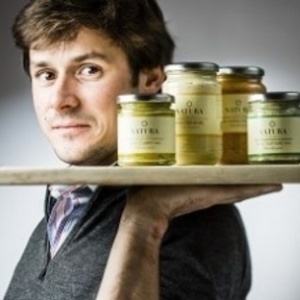 Arthus de Bousies is a Belgian entrepreneur and CEO of “Natura”. Natura owes its success to two factors: the use of natural, high-quality ingredients and the knowledge which has been passed down since the company was set up by fishmonger Philippe Vryghem in 1939. Natura products are made at the company's production facilities in Tubize, Walloon Brabant. They contain no preservatives, additives or colourings. The traditional production process, using large baking whisks, is unique. This is what gives the sauces their authentic homemade taste!